Many tailgate markets open around mid-April and close around the end of October…but some tailgate markets are open through December and many host Holiday Markets. Various indoor markets have been open during the winter months too. Comment here if you have additional information about your market. who are raising the food you eat. How cool is that? Shoot for maximizing the list of items you get from your local tailgate market, even simple things like onions and garlic. Eat deliciously, and support small family farms & producers at the same time. Everybody wins in a yummy way! TAILGATE MARKET LIST: Your tailgate or farmer’s market not on the list? Leave a comment and let me know, so I can add or update the information. 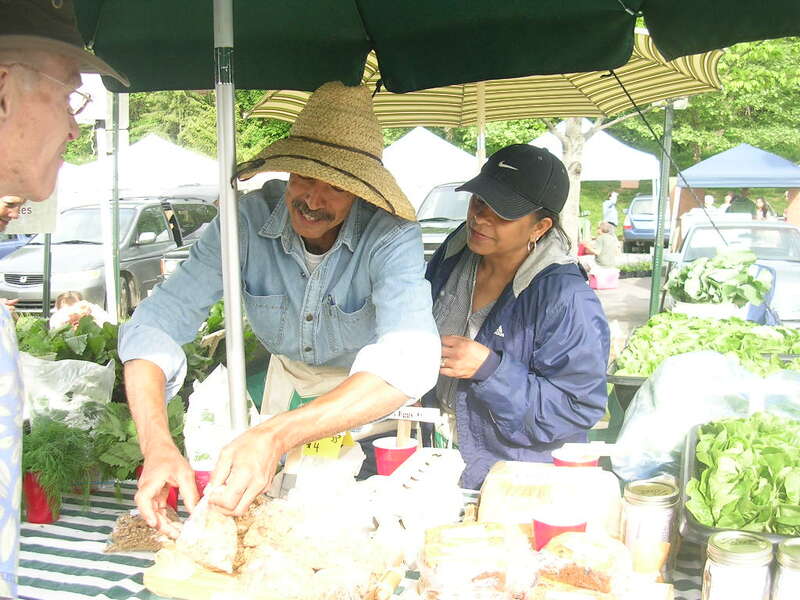 Bakersville Farmers Market, at Bakersville Community Medical Clinic, Saturday, 8 am – 12 noon, Opens April 4. River Arts District Farmers Market, next to All Souls Pizza at 175 Clingman Avenue, Wednesdays, 2 pm – 6 pm, opens May 6, May-Nov. 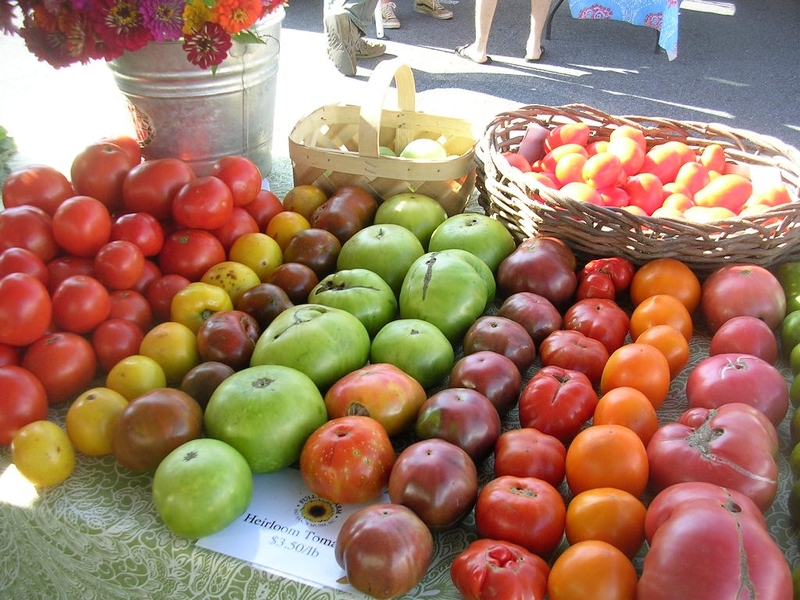 Put visiting farmers’ Tailgate Markets on your vacation agenda when you are traveling. It’s fun. COME ENJOY OUR LAST TAILGATE MARKET OF THE SEASON ON MONDAY, OCTOBER 18TH from 3:00 – 6:00 p.m. in our parking lot. (Weather permitting). ~Organic greens galore: Kale, Chard, Mustard, Turnips with greens, Daikon radishes, Sweet Potatoes, Winter Squash, Butternut, Pumpkins, Peppers, Eggplant, and fresh Lima beans, Potatoes, Cabbage, fresh garlic, Herbs: Rosemary, Basil, Cilantro, Parsley, Sage, Dill, and Sorrel. ~Pastured Chickens, Jellies, Apples, Apple Cider, Eggs, Honey, Beeswax Candles, Gourds Flax Crackers, Vegan Granola and Granola Bars, Fresh Baked Crackers, and Breads. FOOD: We will have a chef at market here to cook up something fresh and delicious with the bounty from the market that day. AND Humane Society will be here with some animals who are anxious for a new home. It’s time to adopt a new pet! Hendersonville Community Co-op	715 South Grove Street in the parking lot! JOIN US! Come check us out every Saturday till late fall. We would love to visit with you. I would love to make it down there sometime soon. Isn’t Paul Shoemaker in your market? Thanks Bridget! I’ll update right now. Hi! There is also the Leicester Farmer’s Market, which opened over a month ago on Leicester Highway. 4-7pm Friday evenings and 9am-2pm every Saturday! A wide variety of vendors (nearly 30 vendors in all), as well as a food truck and live music. Just wanted to let you know about a NEW tailgate market!! The Southern Tailgate Market will open April 19, 2014 at 2988 Hwy. 70 in beautiful Black Mountain! We will be open on Thursdays from 3:30 to 6:00 and from 8:30 to 1:00 on Saturdays. We have 33,000 sq. ft. of space and are looking for more vendors to round out our market. If interested, please call me (Carol Moore) at 828-329-7704 and I would love to give you all the details —- it’s gonna be GREAT!! Thanks for letting me know. I will add the Fairview Farmers Market to the list here and already shared on Facebook.